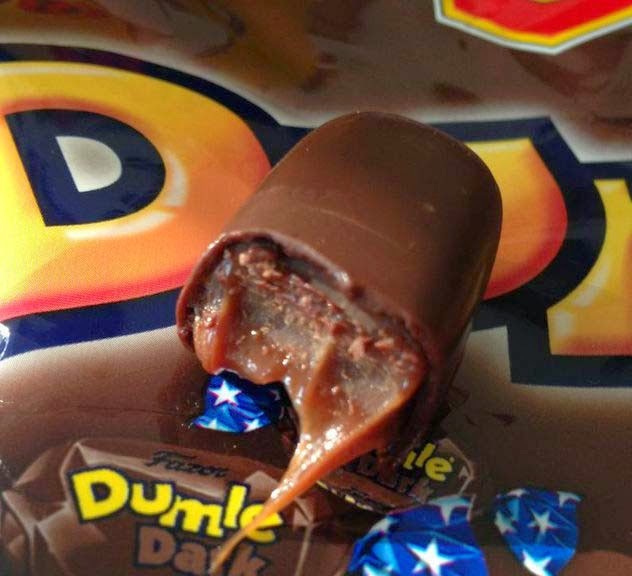 Dumle is a chocolate candy with a chewy toffee filling popular in Sweden and Finland. The brand's newest edition is a dark variety, Dumle Dark. The dark chocolate is very rich and it infuses with the chewy toffee making it a very chewy chocolate-intense experience. It's hard to stop eating these. 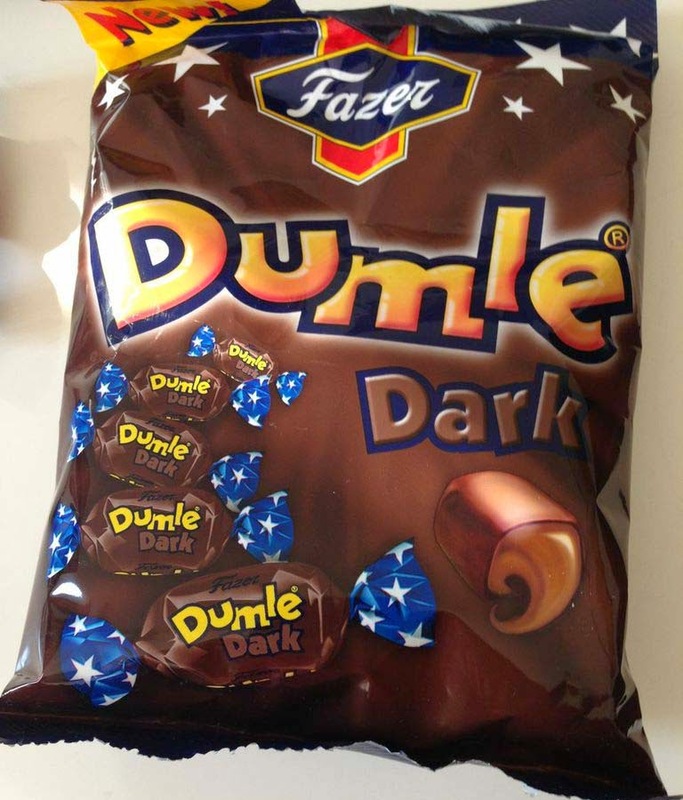 I like the original Dumle but the dark chocolate really improves the candy. I don't believe I've ever tried Dumle, although I'm sure I have seen them in the UK. Do they do a white chocolate or any other flavoured varieties? No, there are no whites. Just original milk chocolate and a Snack variety (with puffed rice) which I will review later.